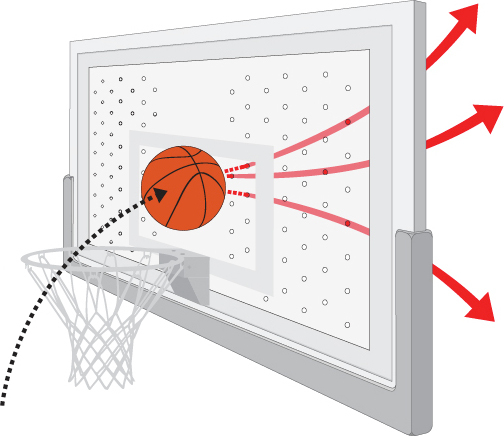 Coordinate your board with colors of your school or court. 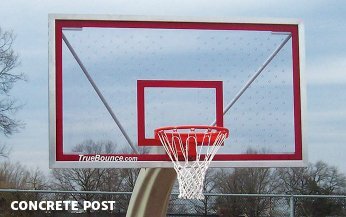 TrueBounce® backboards and poles can be customized with striping and padding colors. Our team will work with you to design a custome look for your community. 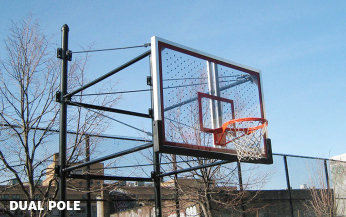 The TrueBounce® perforated backboard was designed to enhance the game of basketball, so players enjoy a heightened experience that keeps them active and enthusiastic on the court. 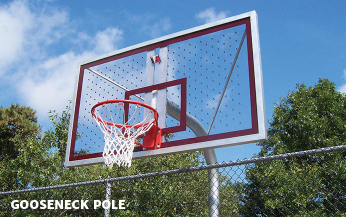 TrueBounce® backboards can easily be retrofitted and mounted onto existing pole structures, which offers multiple possibilities in any setting. 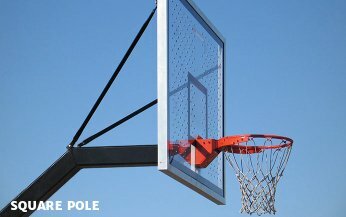 This cost-conscious alternative offered only by TrueBounce® not only saves time, and money but also reduces waste. As long as your existing poles and footings are structurally sound, TrueBounce® can retrofit almost anything. Call us to speak with a retrofit specialist.